Simon have developed projects that have been awarded with LEED (Leadership in Energy & Environmental Design) certification, a green building rating system. The system was implemented in 1993 and has been applied in several other countries since then. It consists of a set of rules aimed at the sustainability of all kinds of buildings: energy efficiency, use of alternative energies, improvement in internal environment quality, water efficiency, etc. 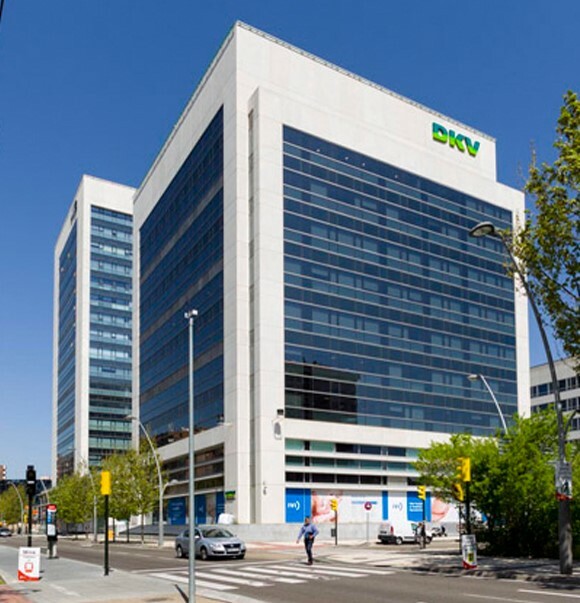 The company’s headquarters, obtained a rating of 67 points out of 110. It obtained Gold certification in the CI (Commercial Interiors) category. The Tower occupies a surface area of 12,000 m2 distributed over 10 floors. It is the only Munich Re building to be awarded this certification; the most demanding and prestigious one in the area of sustainability. Simon contributed to the project by providing LED lighting with presence detectors, together with our Control Maxlon system. 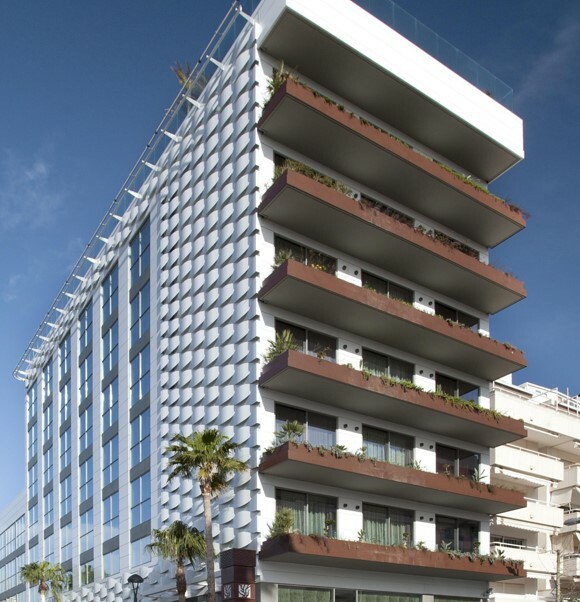 This project allowed the hotel to be the first in Europe to achieve LEED Platinum certification. We contributed to the project by providing charging points for electric vehicles. The system measures building sustainability across seven main areas: location, energy, water, materials, air quality, innovation and regional priority. Thanks to the rating obtained in each of these areas, the hotel, based in Sitges, has the highest distinction in this certification system. In 2012, Cajamar held a call for the development of its headquarters in Almería. Cajamar wanted to be a local and international reference with a sustainable building. Savaner submitted the winning proposal together with Arapiles Arquitectos, and were commissioned with the design of the new building. Simon collaborated by providing the LED lighting for this project. 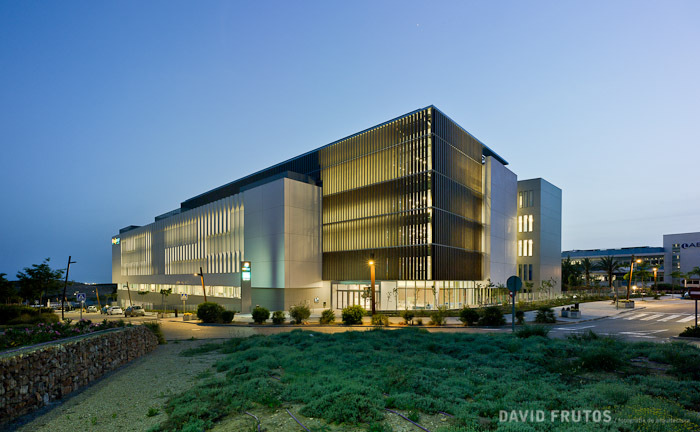 This resulted in Cajamar obtaining LEED Gold certification.